MULTAN: Famous Ghazal singer Gulbahar Bano was undergoing treatment for Schizophrenia at the residence of her poor brother and her lawyer said her fans at home and abroad have offered to bear full expenses for her treatment. ''Chahat-Men-Kya-Dunya-Daari'' famed singer was reportedly recovered from the alleged confinement of her brother Ayaz Asghar last week and was shifted to the home of her other brother Sajjad Asghar on her request after she was produced before a court in Bahawalpur. 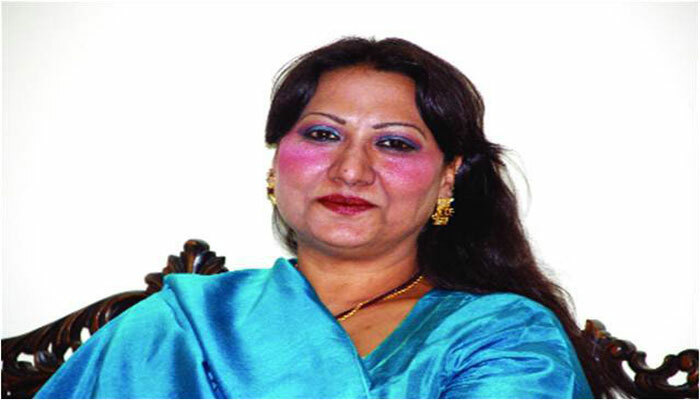 Noted lawyer Mohsin Raza Joya who had filed petition for recovery of Gulbahar Bano through a lawyer Ameer Ajam Malik told APP that a lot of fans of Ghazal singer at home and from other countries have approached to offer assistance for her treatment. They want the great Ghazal singer to be on the stage and start mesmerizing the audience again. Joya said, he himself and many other fans believe Gulbahar Bano would soon be in her original form and resume her singing activities in Karachi provided she gets proper treatment.